You love your lawn. It's where your children play and your pets roam. So keep it green and lush without the use of harsh chemicals. 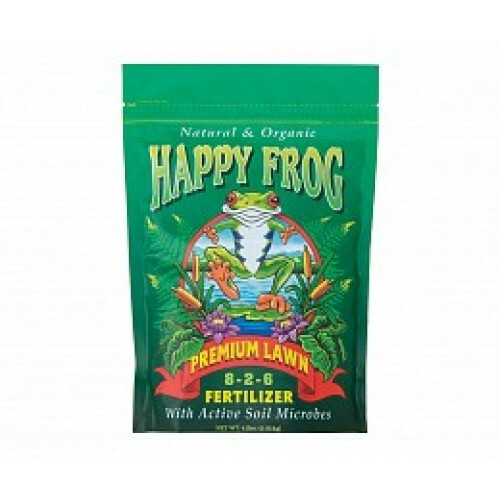 FoxFarm's Premium Lawn formula is pH balanced, and it's blended with premium organic ingredients like bat guano, kelp meal, bone meal, feather meal, and humic acid, a naturally occuring organic material that is formed when organic matter decomposes. Humic acid helps with seed germination and may increase the uptake of important micronutrients. Packed in a resealable plastic bag.